Many pregnant women fear getting a fever will impact the health of their growing baby. 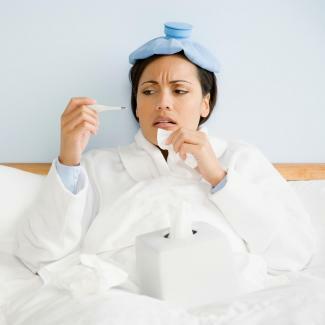 Results of a study of 78,000 women revealed there were no statistically significant findings that linked fevers with birth defects or health issues. However, underlying causes of the fever may affect the health of your fetus. Fevers can come up at any point during your pregnancy and can possibly impact your growing baby. You may have a fever because of an underlying illness or infection. During pregnancy, women's immune system is typically weakened, leaving them more at risk for contracting an illness, infection, or virus. Pneumonia is an infection that impacts your lungs. Symptoms include coughing, fever, chills, fatigue, and chest pain. Mothers who have pneumonia during pregnancy are more likely to give birth to preterm babies and babies with low birth weight. Symptoms of the flu include fever, chills, headache, sore throat, body aches, and cough. Studies suggest that pregnant women exposed to the flu within the gestational period of zero to eight weeks may notice slight psychomotor developmental delays in their children around six months. You may have a UTI if it is painful to urinate, you have a fever, chills, and possibly blood in your urine. Without treatment, UTI's can lead to kidney infections which are not only painful, but can impact the health of your fetus. Mother's who have untreated kidney infections are more likely to give birth preterm and have babies with low birth weight. A virus during pregnancy is often accompanied by a fever. Many viruses are considered benign, but your doctor will pay extra close attention to the Herpes Simplex virus as it can be transmitted to your baby during delivery and can cause uterine growth issues, spontaneous abortions, and preterm labor. About one in six people in the United States have genital herpes and about 25 percent of children in the United States under the age of seven test positive for the Herpes Simplex Virus type one. This highlights the importance of seeing your doctor regularly for check ups prior to becoming pregnant, as well as throughout your pregnancy. 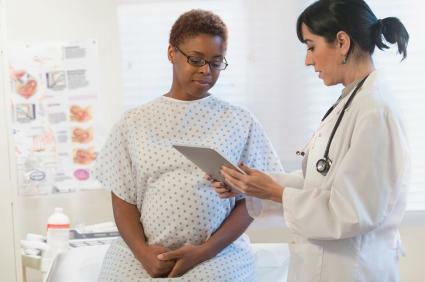 Bacterial Vaginosis: This vaginal infection can lead to low birth weight and preterm labor. Chlamydia: This sexually transmitted infection can lead to preterm labor, and can cause eye infections and pneumonia when the child is born. Gonorrhea: This sexually transmitted infection can lead to infant blindness, low birth weight, and miscarriage. Genital Herpes: The Herpes Simplex virus can lead to organ and brain damage, blindness, spontaneous abortion, and stillbirth. Zika: This virus can lead to eye and brain problems in the infant, as well as spontaneous abortion. Listeria: This infection is brought on by eating food that has been contaminated. It can lead to infant death, preterm birth, and stillbirth. Toxoplasmosis: This parasitic disease can cause blindness and intellectual delays. Syphilis: This can lead to infant death, and developmental issues in the brain, teeth, heart and skin. When you're pregnant, it is important to take extra good care of yourself. If you have a fever, be sure to call your doctor right away so they can help you manage your discomfort and avoid potential complications.